Elephant men and time powers await the furious Spartan. By the end of God of War III, Kratos had pretty much killed everyone there was to kill in the Greek pantheon. God of War: Ascension brings the murderous Spartan back to kill some more mythological creatures from other cultures, like giant ogres with elephant heads. I'm not sure what sort of mythology that's from, but it's in Kratos' way, which means it dies. Frankly, it looks like God of War. That's not a bad thing, mind you. You have the fast-paced combat, the aerial combos, and naturally the ultra-gory fatalities. Kratos seemed particularly fond of pulling off the heads off of angry goat-men this time around. 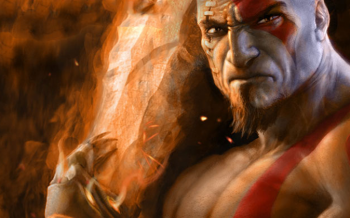 Ascension gives Kratos a new trick in the form of time manipulation. At certain spots in the game, he will be able to restore destroyed scenery to an earlier point in its lifetime, which seems to just be one more tool in the arsenal for God of War's platforming. It looks like God of War, but that's just how God of War should be. Ascension hits PlayStation 3 on March 12, 2013.